The genius robotics professor, Dr. Komyoji has restored a mortally wounded Jiro in accident in the form of android body, Kikaider. 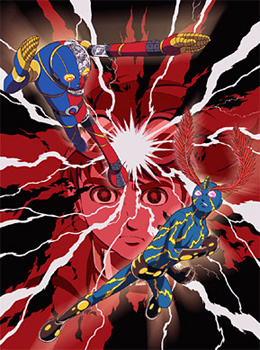 Kikaider is a humanoid robot tasked with the protection of Dr. Komyoji's son and daughter. Gifted with the conscience circuit, Kikaider is given the power to simulate real emotions that helps to distinguish between 'right and wrong'.